God gives us spiritual armor. Below, you can see some pictures of kids at Sojourn East and bigger kids at Sojourn Midtown dressed up in the whole armor. We had a lot of fun introducing kids to the way that our Warrior God protects us from Satan and his schemes by giving us salvation, righteousness, peace, faith, truth, and His Word. 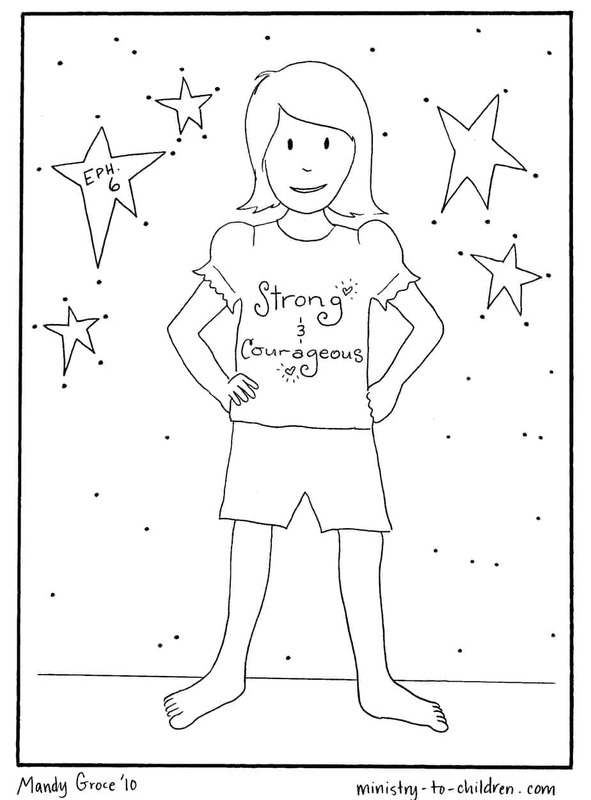 There are two versions of the coloring page – one picturing a boy and the other picturing a girl. 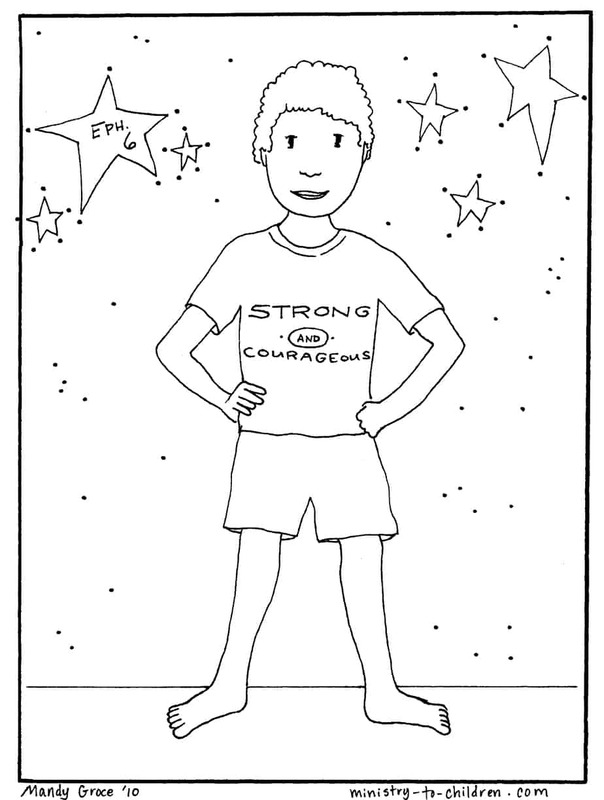 The children have the phrase “strong and courageous” written on their t-shirts. 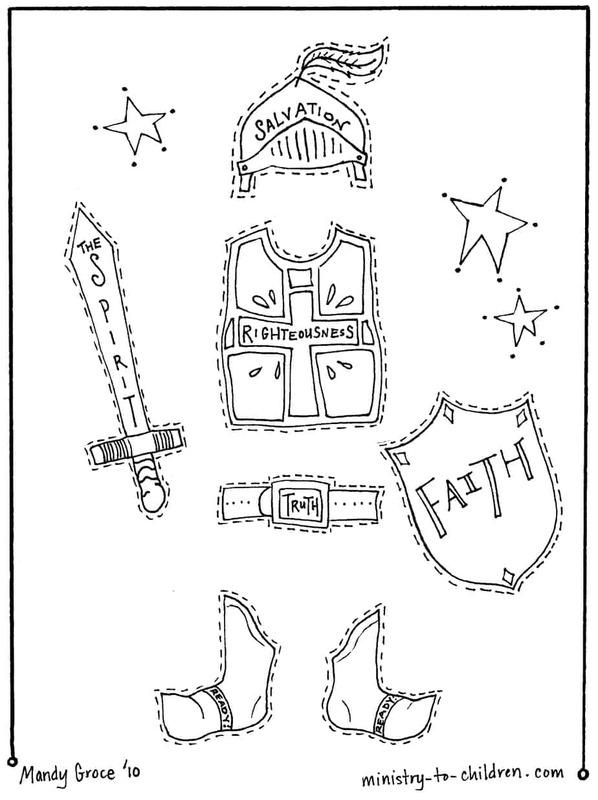 The third sheet is the pieces of the full armor of God. We had the children cut and paste those pieces to construct the final picture.